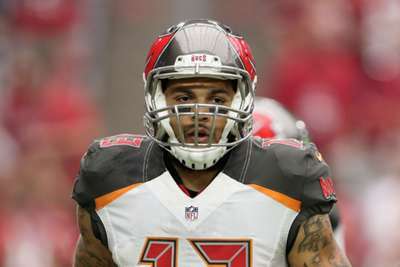 Mike Evans became the Tampa Bay Buccaneers' all-time leading receiver in yards during Sunday's clash with the Atlanta Falcons. The wide receiver went to 5,024 yards and counting after making a leaping 19-yard catch near the end of the first quarter. He surpassed Mark Carrier, who previously held the record with 5,018 receiving yards. Evans reached the milestone in just his fifth season with the team and aged only 25. He already holds Tampa Bay's record for career touchdown receptions with 35.